If you know your parents need help with junk removal in Westchester County, you can help them avoid this nightmare scenario by choosing a reputable junk removal company. To do this, don’t do your searching on Craigslist: while the site might be great for finding out where the best garage sales are, it’s not a safe choice for finding service providers for your home. Look online instead: you want an experienced junk removal company with an excellent reputation for customer service. Many of the best Westchester junk removal companies also provide other services such as dumpster rental and curbside trash removal. Check with the Better Business Bureau before you call. Then you’ll be able to help your parents find a legitimate junk removal company. They will get their property cleaned out without any worries! Westchester Homeowners: Make Spring Cleaning Simple & Rent a Dumpster! For big residential clean up jobs in Westchester county, renting a dumpster is the cost-effective, simplest route to turning clutter into clean. Residential dumpsters come in a variety of sizes, from mini-dumpsters (great for cleaning out a single room, garage, or in-law suite) to construction size dumpsters (great for remodeling debris and major messes). Residential dumpsters can be used to dispose of household trash as well as the construction materials associated with typical household renovations. If you’re not sure if the materials you have can be disposed of via a residential dumpster rental, call your Westchester county dumpster rental company. They’ll be happy to advise you, and in the event you have an item that can’t be taken away via a dumpster, they’ll let you know who does that kind of disposal. Residential dumpsters can be dropped off in your driveway or yard. To find out how much area you need to have clear for the dumpster drop off, call your Westchester country dumpster rental company for details. They’ll be able to give you all the dimensions, including any needed overhead clearance requirements. Then it’s as simple as scheduling when you’d like your dumpster dropped off. 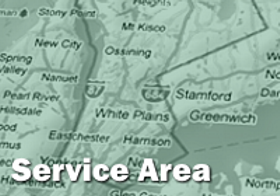 Westchester County Waste Management is known for being the fastest, most responsive option available to the homeowner. Fill up the dumpster, and have it taken away. The result? You get your home back and spring cleaning has never been simpler! Westchester County Waste Management serves commercial and residential property owners with prompt, professional junk removal services. We won’t make you wait days or weeks to have your junk removed: it’s our goal to get your space cleaned out right away. We offer dumpster rental in a variety of sizes, from 4 to 30 yards, and can work with your timeline and budget. When you see one of our green and white trucks roll up in front of your home or business, you can relax, knowing that all the junk that’s been stressing you out will soon be on its way out of your life. We dispose of all junk responsibly, in accordance with regulations, and in a way that protects the environment. We’re also Westchester’s leading provider of recycling services! Call today to find out more.